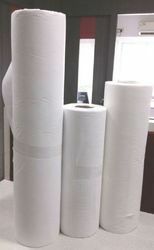 Our range of products include filter pads and coolant filter papers rolls. With the assistance of our professionals, we are engaged in offering our clients a broad range of Filter Pads. 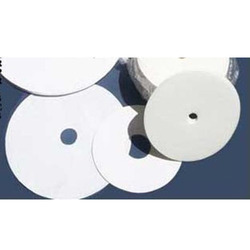 These pads are mainly used in air treatment of ventilation and conditioning systems. These pads are appreciated amongst clients for their finish and high tear resistance. The offered product is fabricated using optimum quality materials and advanced technology under the observation of experienced team members. Further, we make sure to deliver defect free products to our customers at cost-effective rates. We offer wide range of Filter paper and Filter Roll for Coolant Filtration in Automobile Industries and for Grinding coolants.